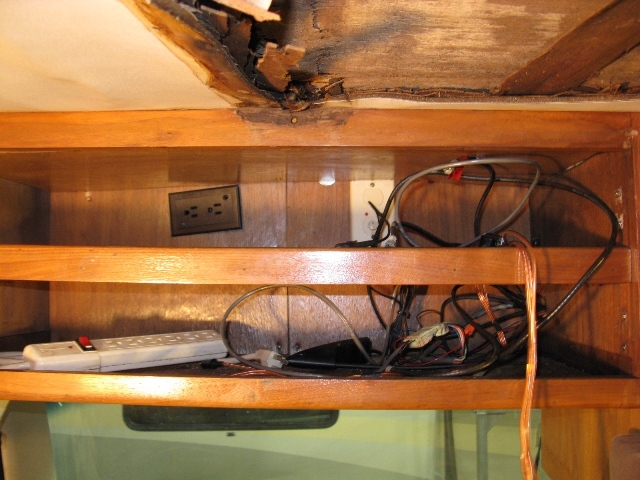 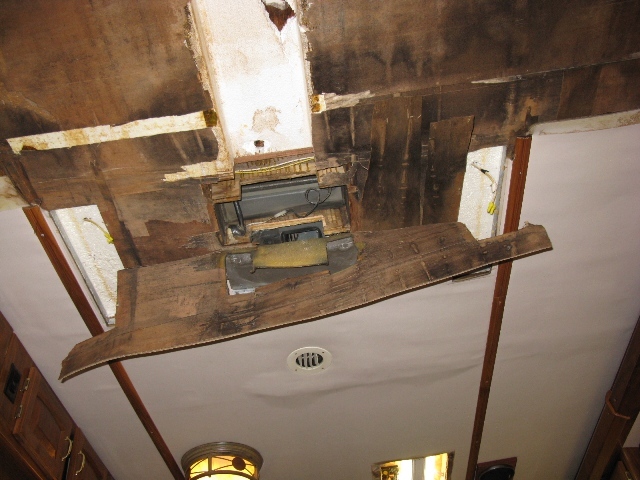 This 42’ Magnum sustained massive damage due to water intrusion. 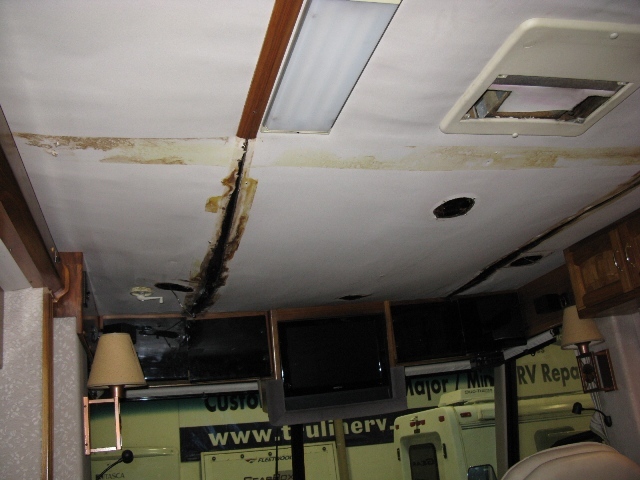 A small water leak left unattended can result in very costly repairs. 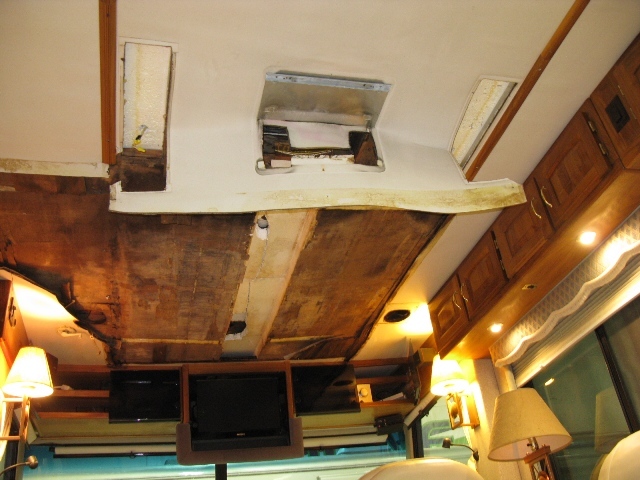 The living room ceiling of this coach had fallen in so far it was resting on the slide out header. 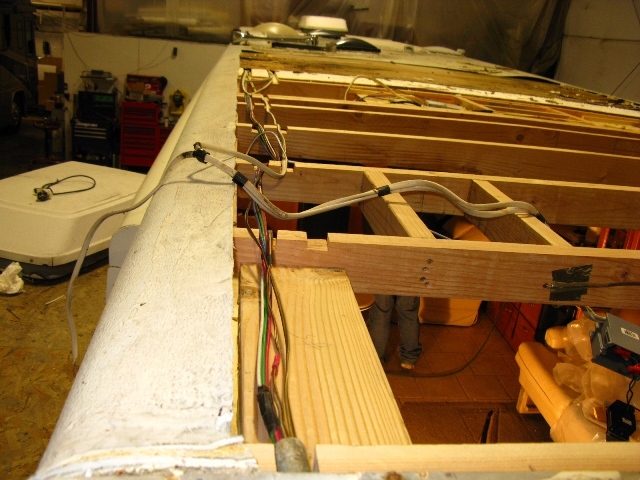 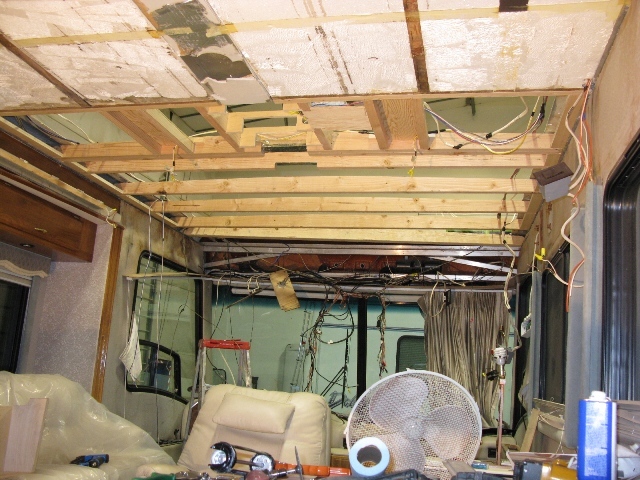 We began the repairs by removing all overhead cabinets and cutting out the front 15’ of the roof structure. 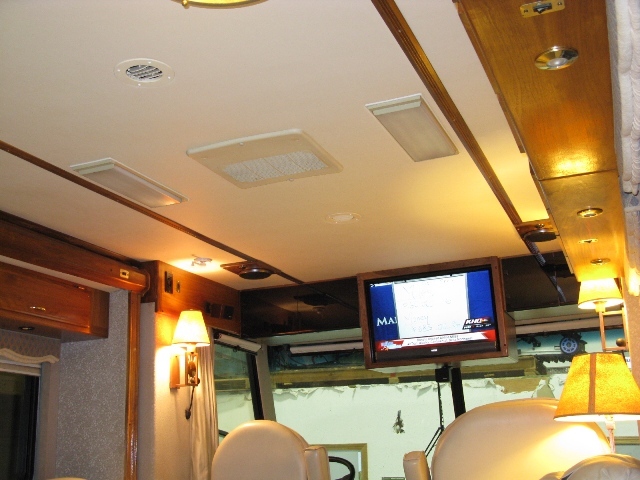 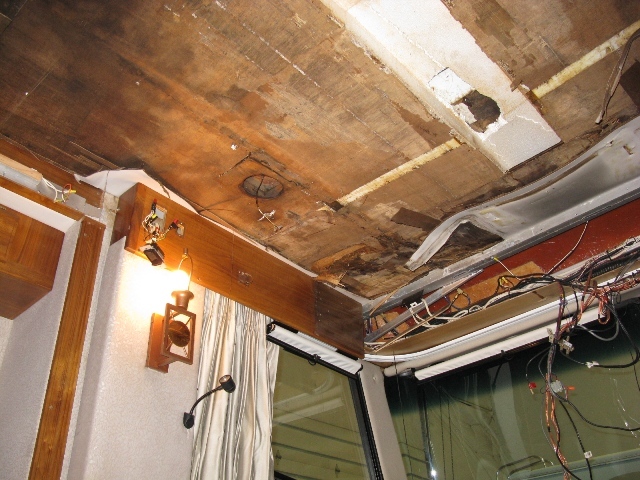 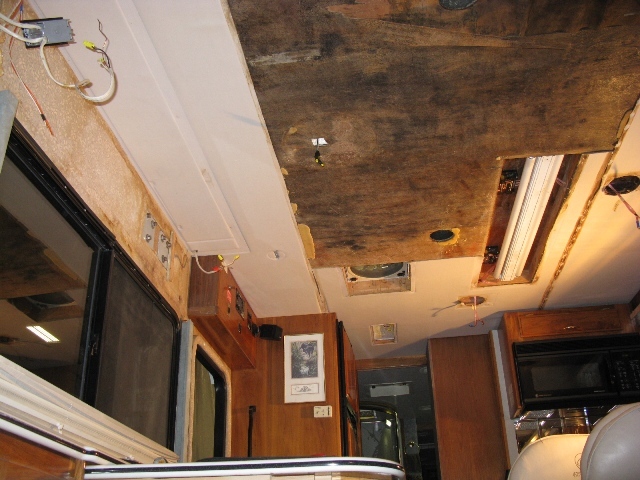 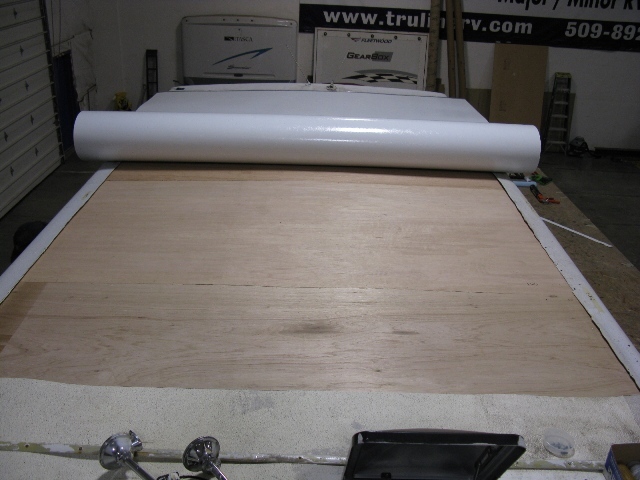 After stripping the coach down and getting rid of all dry rot we framed up a new roof structure, laminated ceiling panels and installed a padded vinyl headliner. 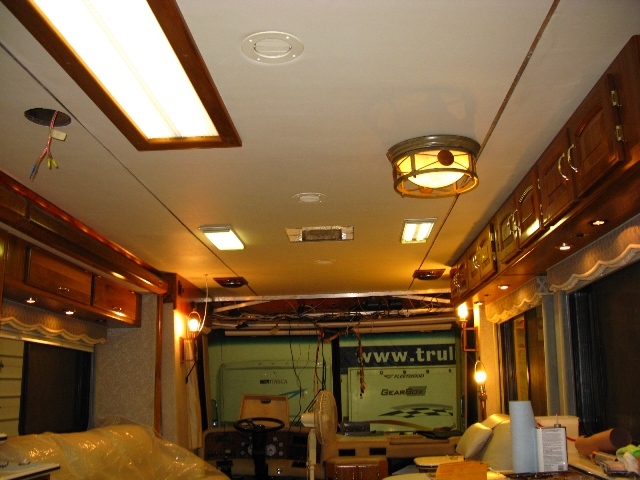 After the roof was back where it should be we began building the custom cabinets and moldings. 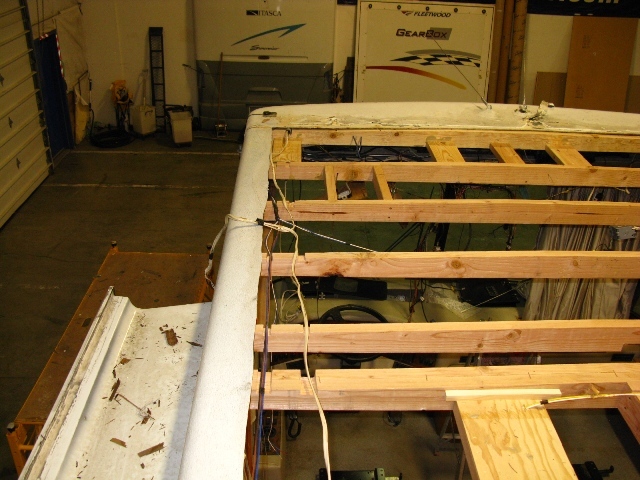 On the exterior we sheeted the new framing with plywood then one layer of luan. 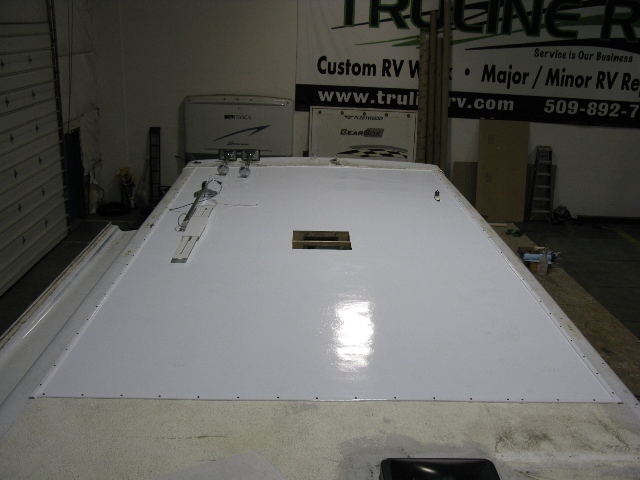 To finish of the job we installed new Filon flex roofing and proper sealant. 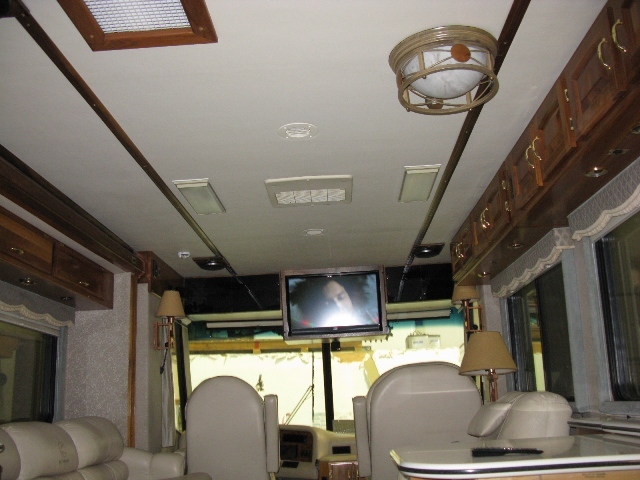 This coach was shipped into us with sidewall defects and needed both side walls replaced. 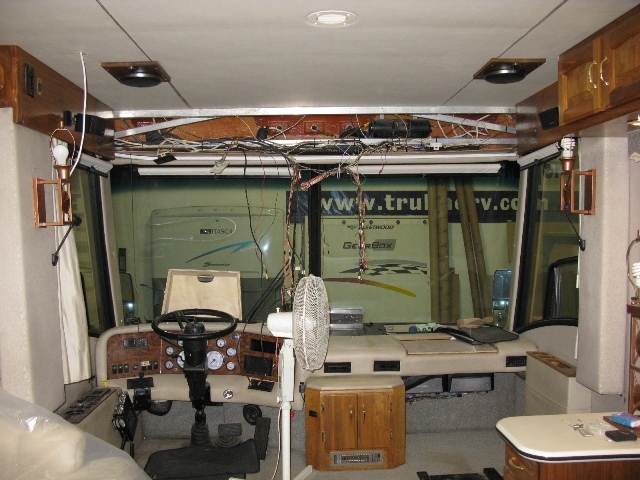 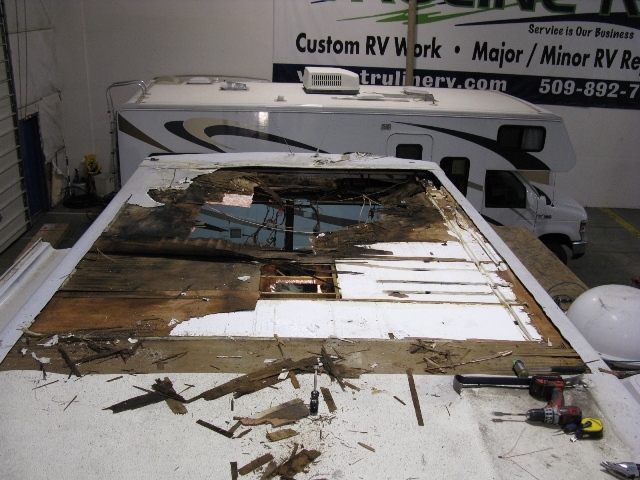 Several RV manufacturers count on Truline RV to perform technically difficult repairs such as this one. 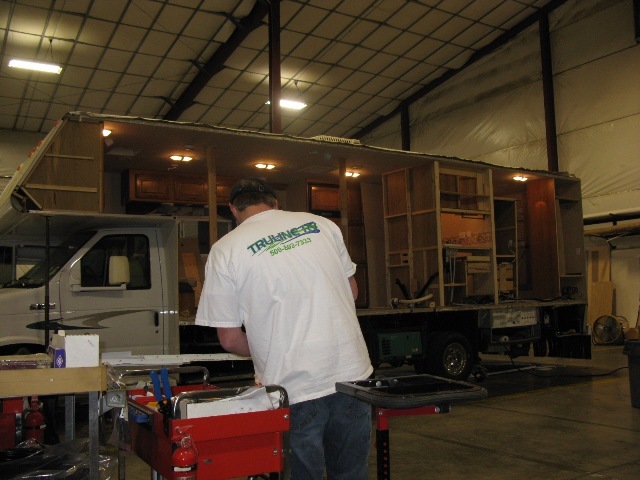 We have earned a reputation in the industry as the shop that will get it done. 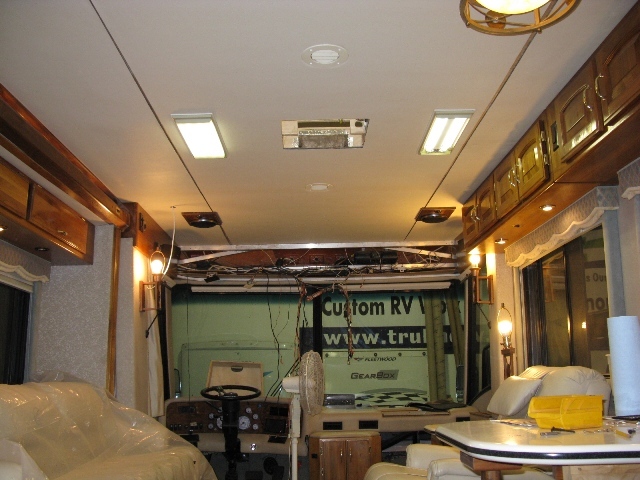 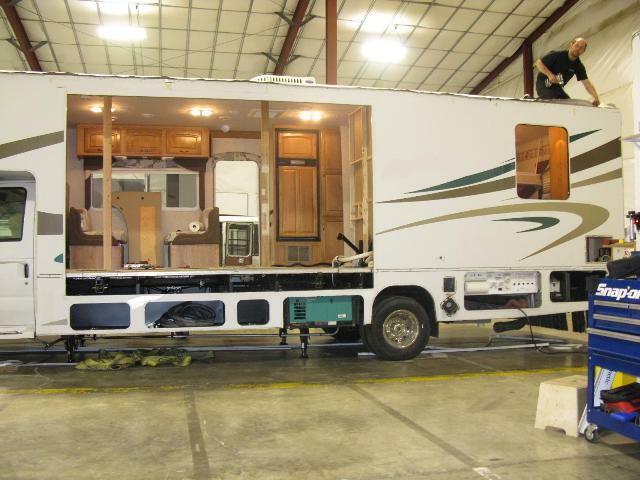 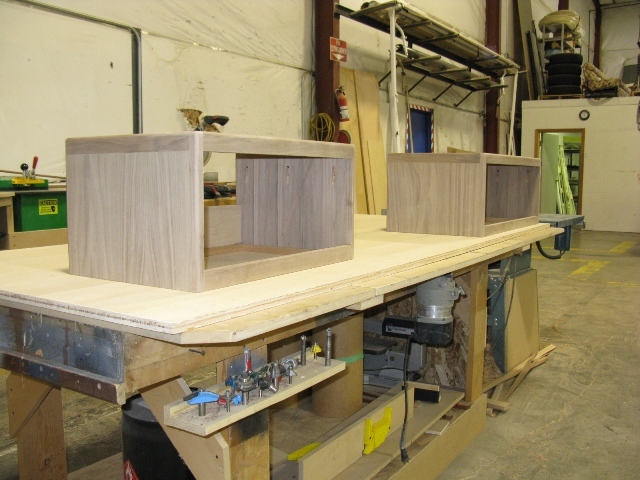 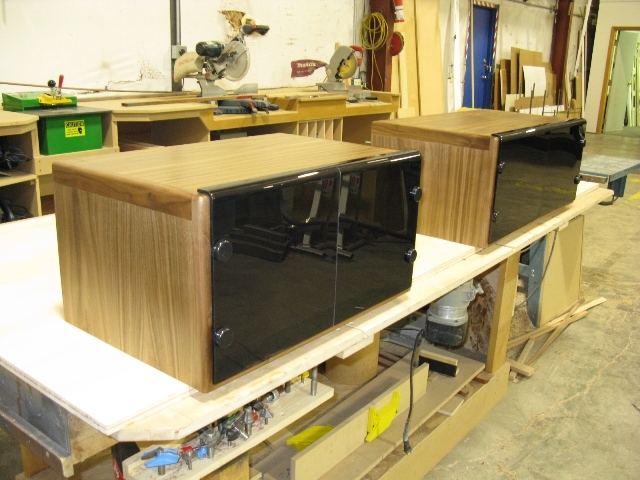 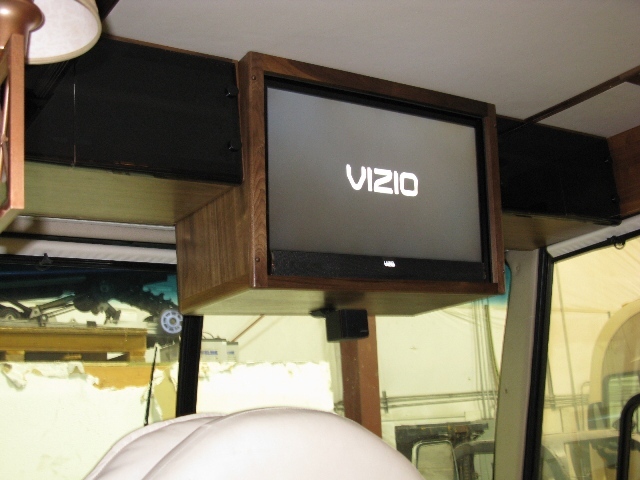 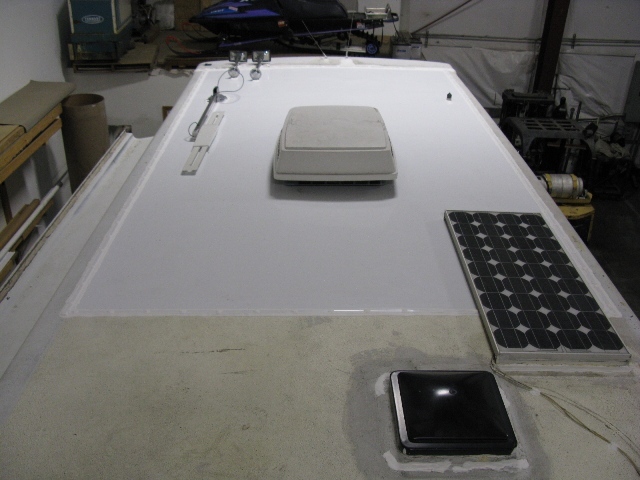 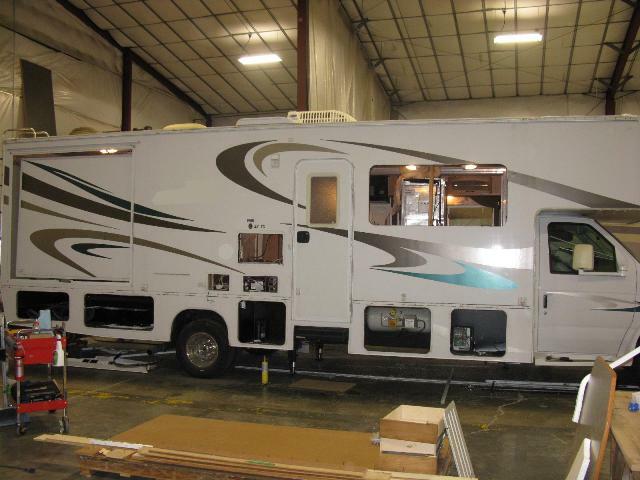 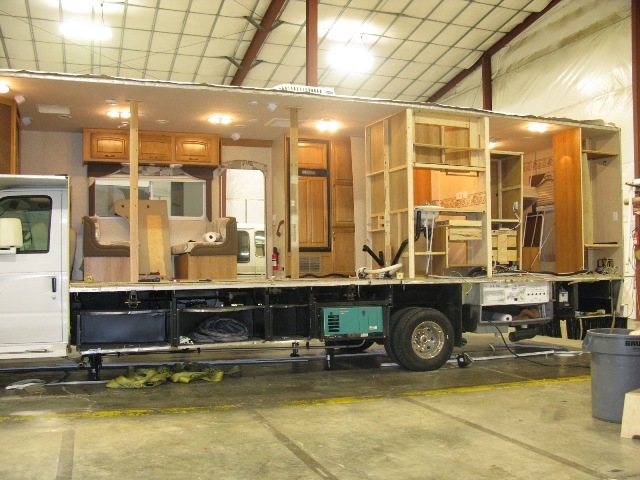 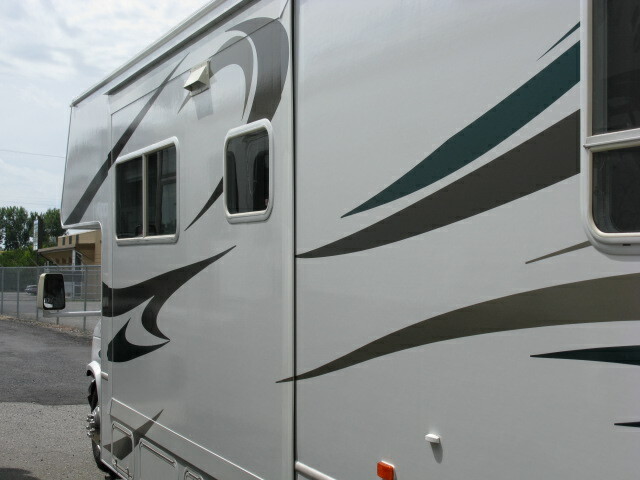 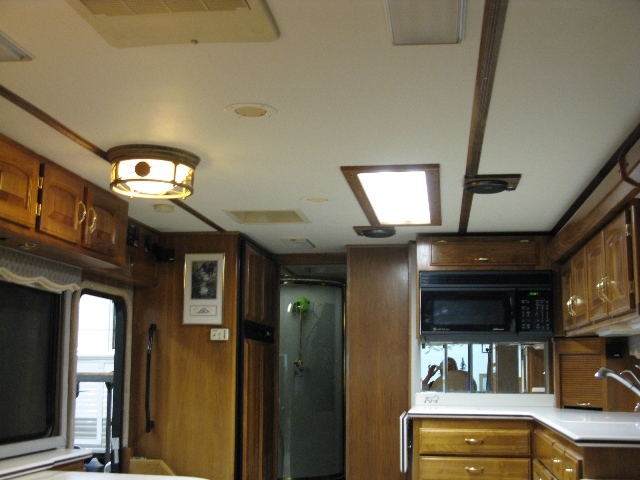 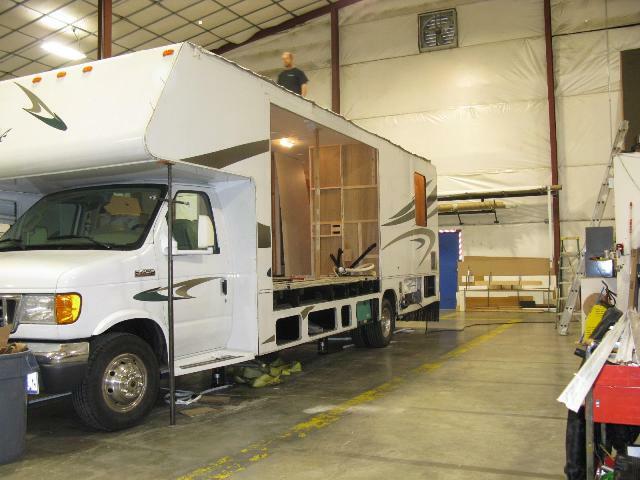 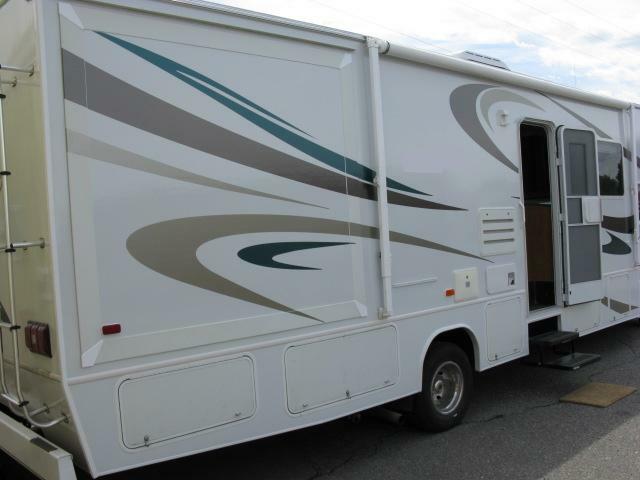 Repairs of this nature require an enormous amount of knowledge in all RV systems and components.